BMW has showcased its next-generation BMW Z4 Roadster Concept at the Pebble Beach Concours d'Elegance. With the new BMW VISION NEXT 100 design philosophy, the roadster sheds the traditional look of the Beemer and instead, adorns a new, refreshing look. It is expected to hit the production lines by next year. 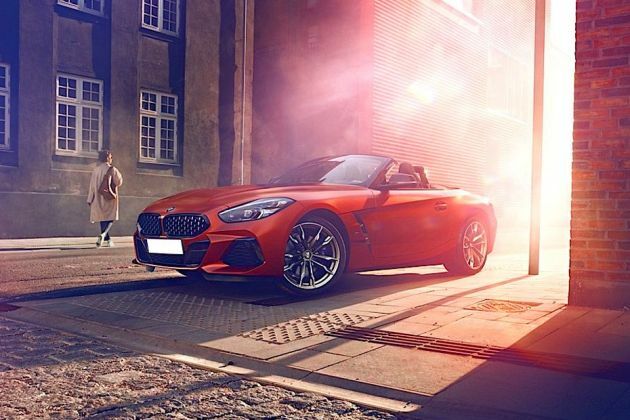 The BMW Z4 is available in India only as a convertible. It is on sale in two variants - sDrive35i and sDrive35i DPT. Both variants are powered by the same 3.0-litre, 6-cylinder turbocharged petrol engine which produces 306PS of power and 400Nm of torque. The engine comes mated to a 7-speed, dual-clutch automatic transmission and power is sent to the rear wheels only.